How long should I work ?? The BBC website has reported an interesting survey http://news. bbc.co.uk/ 1/hi/health/ 7909464.stm about working hours. Its basically saying that if you work for too long you begin to suffer mentally with tiredness and fatigue. Worryingly it also links to dementia and other illnesses. I don’t know of any Methodist Minister who works only 40 hours and most of us manage to work 12 hour days for the best part of the week, therefore 60~70 hours becomes the norm each week. I don’t say that to boast about how hard I work but to highlight an increasing concern in my life, that the demands of day to day Presbyteral Ministry are such that more and more Ministers are being damaged physically and spiritually. I don’t know the answer other than more human resources to share the workload but that in turn puts an increased pressure on fellow Christians to dig ever deeper into pockets and purses that are already stretched in this time of financial burden and I’m not prepared to put that burden on my people. Try reading the report and see what you think. Sorry to be so blunt about it but today I’m feeling `pig sick` about the way in which some folk feel they can treat the Minister. No more to be said except that I’m disappearing from this blog for a few days while I lick wounds. Hold me in prayer. it must be over now !! Final birthday celebration on Saturday (?). Gareth, Sharlene, Alison, Judith and I went into Nottingham for a meal at the Big Wok, booked by Gareth who had been before. I didn’t eat much (do you believe that ? ); I only had the starter, main course and dessert and to be honest several helpings of each course. It is an “eat all you want” establishment for only £5.99. The food was delicious. I was very good in going for the healthy option of fruit salad for the dessert; mind you, Alison was a bit suspicious of the way I put ice cream, marshmallows and chocolate from the chocolate fountain on top of it all ! She thought it spoilt the healthy eating bit somehow. On the evening we went to the Angel pub near where we live; packed out but eventually we all got a seat. Bit too noisy to talk comfortably but towards the end of the evening a lady recognised me as “the Vicar of Waingroves” she paid me a compliment about the recent baptism I had led and then I got an hour long tirade about all that was wrong with Waingroves Chapel, Ripley Chapel, St. Johns Junior school, the Mormons, the Jehovah’s Witnesses and Newcastle United. It was painful and rather spoilt the evening somewhat. It was obvious that she was drunk or at least very tipsy, loud and aggressive. What am I to do in situations like that ? Its aggravating that people feel that because I am a Minister then I am their property to do with as they wish; its fair game to spoil my evening with my friends by taking me to task about all that’s wrong with the world and expecting me to just sit there and listen. Why is it that I have to be what other people expect me to be, but if I expect from them its a different matter ? Why is it that I have to put 60~70 hours of work in every week and still expect to be available when others demand it ? Perhaps the lesson that I need to learn from this is that I cannot take a drink in Ripley, just in case. Its never been a problem before as Alison and I had the girls and we couldn’t leave them, but now that we can is this what is going to happen ? That every time we go out we run the risk of having our enjoyment spoilt because of other people ? And yet I don’t want to not go out in Ripley, or Waingroves, or Codnor, or Swanwiock or wherever as I believe that it is my opportunity to show the world how `normal` Ministers are. Dilemma, with no real solution. Rant over. Still it was great getting a surprise visit by Gareth and Sharlene and this weekend has been very special. I have been greatly blessed. The birthday just keeps going on and on !!!! 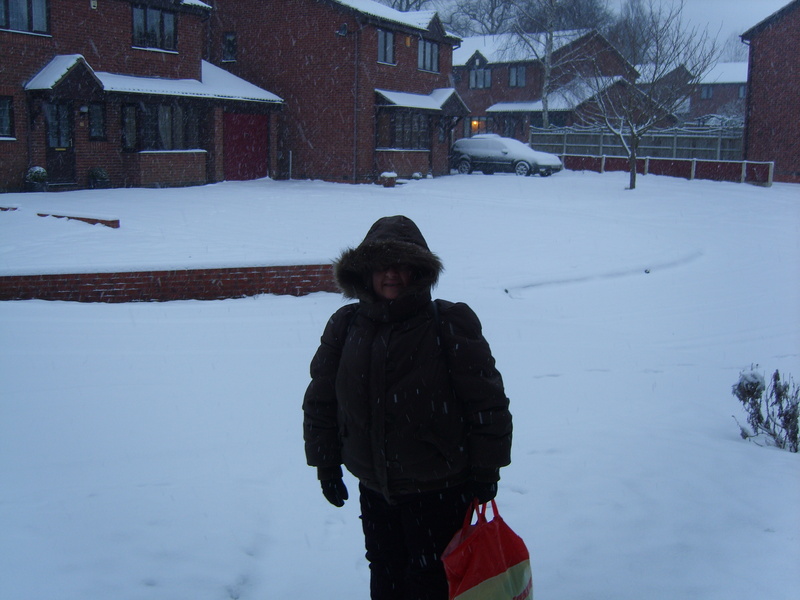 Our friend Judith braved the elements on Thursday to come over from Oldham, ostensibly to celebrate her birthday with us. I told her not to come because of the weather but she was determined. I should have known something was up, especially as she was texting someone en route to the pub ! Anyway she insisted we went out for a drink and a meal last night to the Red Lion in Ripley. Unfortunately Alison already had a prior engagement so couldn’t be with us. As we stood at the bar ordering drinks this guy came and pushed me out of the way to wish Judith “Happy Birthday” and just as I was feeling riled about the bad manners I realised it was her son, Gareth !! Gareth and his fiancee, Sharlene, had secretly travelled down to spend the weekend in Ripley to celebrate my birthday. I’ve always been close to Gareth and have often thought of him as a Godson so for this to happen was simply wonderful. A meal, four guiness`s, a lot of of good quality conversation about Newcastle Utd (Sharlenes favourite team), and a lot of catching up on news later we called it a night; but what a great surprise and what a great night. But it gets better: apparently Sharlene and Gareth are taking Alison, Judith and I into Nottingham today for a meal, but I don’t know where or what it is. You know, I’m thoroughly enjoying being 50. They all say that life begins at 40, but for me life is simply getting better at 50. At this rate I might be 60 before this birthday is over. Writing this from the comfort of my table in the conservatory looking out over a whitened field after the latest flurry of snow. 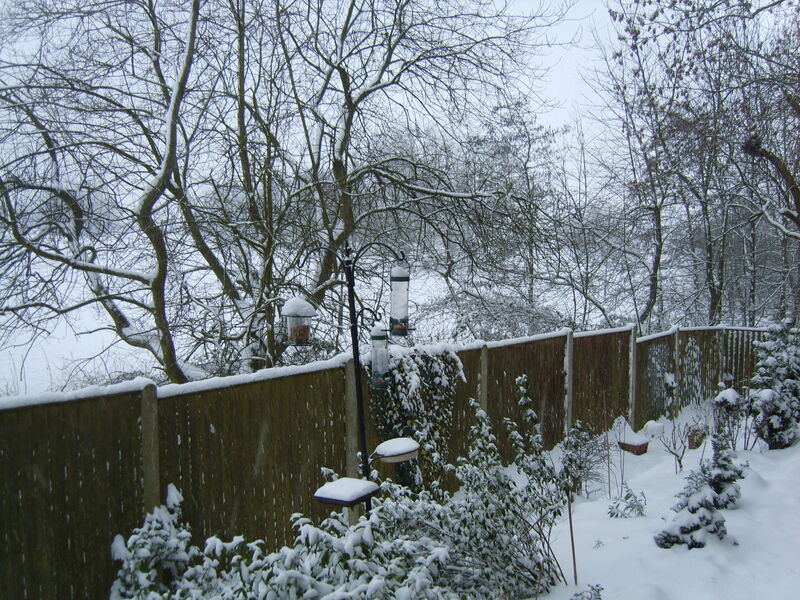 Everything seems to have ground to a halt and for once my garden is looking truly beautiful…………………….. 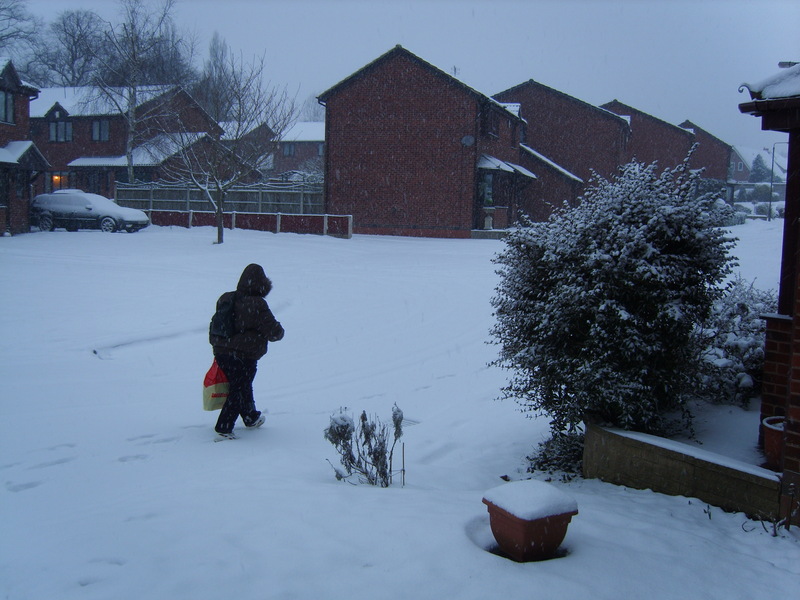 I can’t deny that it was also something of a joy to be able to stand at the door this morning and wave Alison off into the snow, knowing that my appointments had been cancelled as I couldn’t get the car out. Nanook of the North ?? Whilst frustration abounds that things have been cancelled, buses stopped, businesses and schools closed it is also good to be able to stop for a while and simply enjoy what God has given. Vikki made a snowman the other day (didn’t last long, but she enjoyed it), I’m relaxing by tidying up and catching up on some reading. This enforced rest is really rather wonderful.